YOUR INTENSIVE CARE HOTLINE - How long does a critically ill Patient stay on a ventilator after open heart surgery? 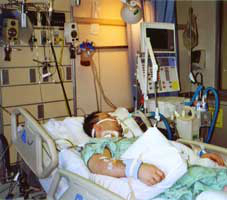 Many Patients are admitted to Intensive Care because they need open heart surgery (cardiac surgery). Open heart surgery (Cardiac surgery) is always followed by a stay in Intensive Care or Critical Care! Open-heart surgery (Cardiac surgery) is any type of surgery where the chest is cut open and surgery is performed on the muscles, valves, or arteries of the heart. The most common type of open heart surgery (OHS) are CABG (Coronary artery bypass graft), and Valve repairs or Valve replacements. Most Valves that are being replaced or repaired are the Aortic Valve, the Mitral Valve and/or the tricuspid valve. Most Intensive Care Units, most cardiac surgeons (=the surgeon operating on the heart) and most hospitals follow “pathways” after open heart surgery/cardiac surgery. A “pathway” basically means that a Patient after open heart surgery should “tick” certain boxes in terms of their progress and then follow that progress until they can leave the hospital to either go home or on to rehabilitation. A “pathway” basically lays out the best plan there is to get a Patient from admission to hospital to the operating theatre to Intensive Care, to a hospital or cardiac ward, rehabilitation and then home. The pathways after open heart surgery/cardiac surgery often indicate that a Patient should leave Intensive Care day one or day two at the latest after the surgery has been performed. 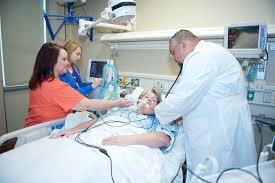 In order to do so, they need to be off the ventilator, they need to have “woken up” from the induced coma, they need to be hemodynamically stable with a normal, regular heart rate, a normal blood pressure and they are meant not to bleed after the surgery. Therefore the answer to the question “How long does a critically ill Patient stay on a ventilator after open heart surgery?” is 12-24 hours as per the hospital’s “pathway”. But that’s just one side of the coin and while it’s great to have goals and pathways, the reality shows that those “pathways” are not realistic to be followed for some Patients in Intensive Care after Open Heart Surgery/Cardiac Surgery. 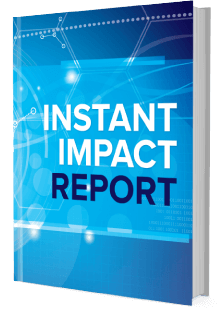 Other issues that need to be managed are adequate pain relief and/or intermittent or permanent pacemaker dependency which is something that does happen after open heart surgery/cardiac surgery. Furthermore, other complications that can occur after cardiac surgery are Patients going into atrial fibrillation (AF). AF is usually treated with replacing Electrolytes such as Potassium and Magnesium as well as giving Amiodarone or Digoxin. And after nearly 20 years Intensive Care nursing in three different countries where I literally worked with thousands of critically ill Patients and their families and where I also worked as a Nurse Unit Manager for over 5 years and with now talking to, counselling and consulting families of critically ill Patients in Intensive Care on a day by day basis I know for sure that many Patients after open heart surgery are not tracking as per “pathway” and that they don’t “tick” all the boxes to leave Intensive Care after day one or day two after the surgery has been performed. Therefore, they stay on the ventilator and in an induced coma for >24 hours and then your loved one is not following the “pathway”. 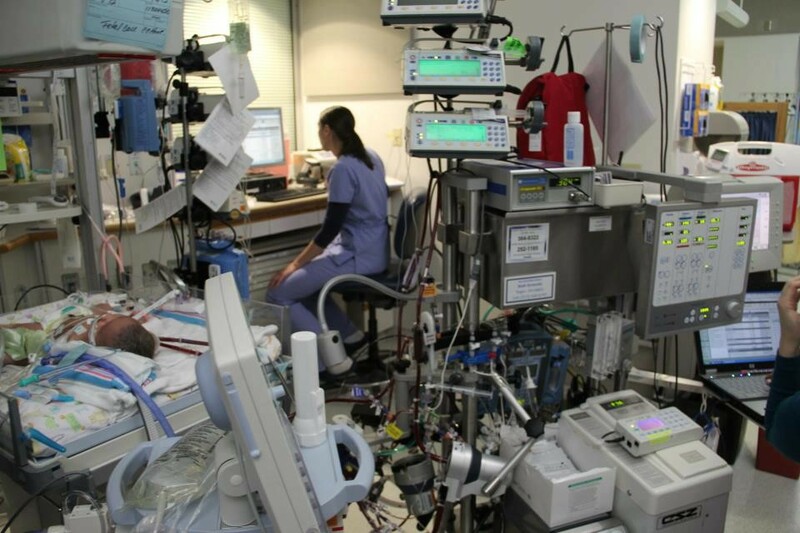 Patients in Intensive Care after Open heart surgery (OHS) often don’t follow pathways! Chances are that if you are reading this article that your loved one is Intensive Care after open heart surgery and they haven’t followed a nicely planned “pathway” that expects them to go back to a hospital or cardiac ward a24-48 hours after open heart surgery! 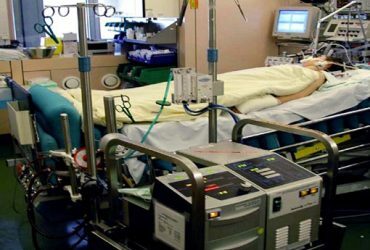 Here’s a little bit more background about what’s actually happening during open heart surgery (OHS) so that you understand the mechanics and so that you understand why your critically ill loved one may not be following a nicely planned “pathway” and why they are still in an induced coma and on a ventilator with a breathing tube. If you or your critically ill loved one is having Open heart surgery for either CABG’s, a valve replacement or a valve repair, your loved one will need to go on a Bypass machine. The reason for going on a Bypass machine is actually that during the surgery the heart is being stopped and therefore the Bypass machine is temporarily taking over the function of the heart and the lungs. Open heart surgery usually takes a minimum of 2-3 hours, but can take significantly longer, therefore increasing the likelihood for complications to occur. One complication with prolonged surgery time and therefore time on the Bypass machine is that your critically ill loved one may develop Atelectasis (=collapse of the Alveoli in the lungs) and Pneumonia. When your critically ill loved one is on a Bypass machine the lungs are collapsed and therefore chances are that after the surgery the lungs will need some time to fully expand again, hence increasing the risk to develop a Pneumonia or chest infection. On top of that take into consideration that your critically ill loved one had their chest cracked open quite literally, had hours of surgery performed on the heart and is on artificial life support like ventilation and potentially on inotropes (you may now have an appreciation that your loved one may not be able to leave Intensive Care as per the hospital’s “pathway”). On top of that there is also a chance that with increasing age and with other significant pre-medical conditions, “waking up” after the induced coma after open heart surgery might take a few days to “wake up”. This also often goes hand in hand with bleeding after open heart surgery, as well as hemodynamic instability such as irregular heart rhythms and/or hypotension (=low blood pressure). This then also often triggers the use of inotropes and/or the replacement of fluids with blood transfusions. If your critically ill loved one is still bleeding after open heart surgery there is a very good chance they may have to go back to the operating theatre/operating room to get the bleeding fixed. 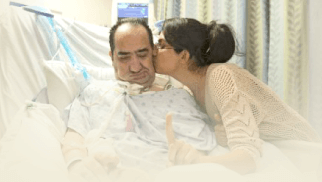 This also means that your critically ill loved one stays in an induced coma longer, hence needing mechanical ventilation and the breathing tube longer than actually laid out in the “pathway” for critically ill Patients after open heart surgery. 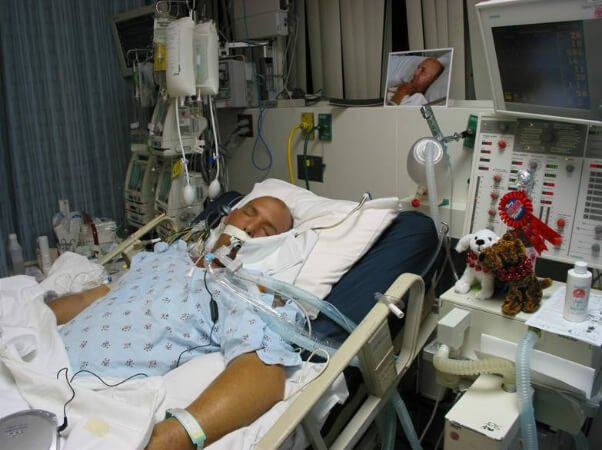 There is a very good chance that your loved one will need to stay on a ventilator with a breathing tube and in an induced coma for longer than initially planned. Some statistics suggest that up to 40% of Patients after open heart surgery/cardiac surgery develop Atrial fibrillation (AF). From my clinical experience, this sounds about accurate as I would think that about at least 1/3 of Patients after open heart surgery develop AF. 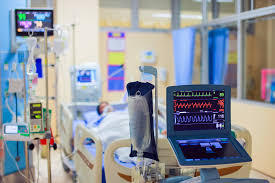 AF doesn’t necessarily keep your loved one ventilated and in an induced coma but it may lengthen their stay in Intensive Care depending on whether their blood pressure is compromised from the AF and if they need Inotropes for hypotension (=low blood pressure). The fact of the matter is that if any of the above complications do occur, there is a very good chance that your critically ill loved one will not follow the “pathway” and won’t be able to leave Intensive Care within 24-48 hours after open heart surgery/cardiac surgery. Therefore, depending on the nature of the complication(s), your loved one may need to stay in an induced coma for longer and therefore also need ventilation with a breathing tube. 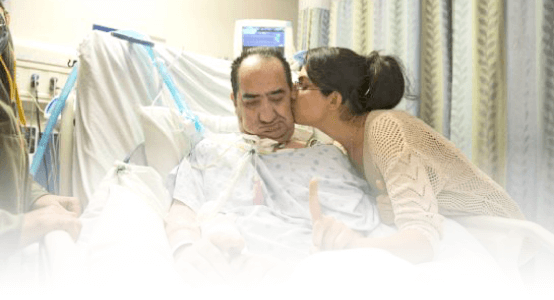 Until the complications are being managed and resolved, your critically ill loved one will need to stay on a ventilator with a breathing tube and in an induced coma. This can take sometimes days to weeks, therefore be patient and don’t give up. I know it’s not very nice to watch your loved one not recover quickly from open heart surgery (cardiac surgery). 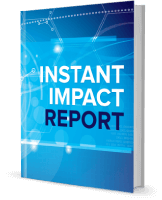 Know that most Patients get through it fine even if they do experience complications. At the end of the day any surgery that requires a stay in Intensive Care has risks attached to it that need to be managed. 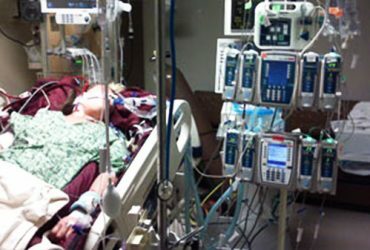 Irrespective of the complications that may have occurred to keep your critically ill loved one in the induced coma and on a ventilator with a breathing tube after the open heart surgery (Cardiac surgery), we find that the biggest frustration most commonly mentioned is that their loved one isn’t “waking up” after the induced coma. To address these frustrations and manage them effectively we have also developed some other resources that will help you get more information and also manage this situation when your loved one is still on a ventilator and not “waking up” after the induced coma.